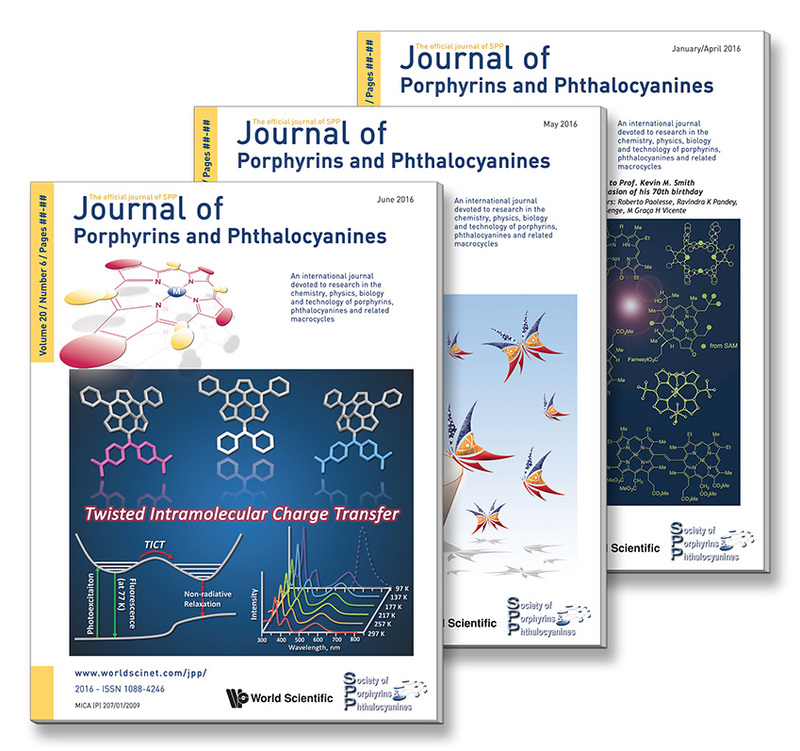 The Journal of Porphyrins and Phthalocyanines (JPP) is an international peer-reviewed journal which covers all aspects of porphyrins, phthalocyanines and structurally related materials research. 12 high quality issues are published yearly featuring full research papers, communications, state-of-the-art reviews, book reviews and a calendar of key international conferences and events. JPP was first published in 1997 and became an official society-owned and society-operated journal in 2002 when publishing and marketing operations were moved to the SPP office in Dijon, France. In mid-2008, JPP was sold to World Scientific Publishing Company (WSPC) who will handle all publishing and subscription aspects of our society journal. 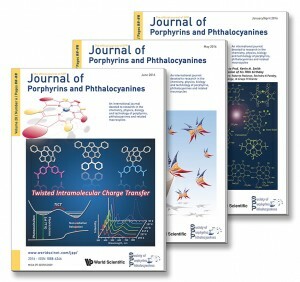 However, the strong interrelationships between SPP, ICPP and JPP will continue since JPP remains the official journal of the Society of Porphyrins and Phthalocyanines whose membership is responsible for maintaining the direction and scientific content of our society-run journal.This transition from SPP publication to WSPC publication of JPP will enable the Society of Porphyrins & Phthalocyanines to devote additional time to its membership and to the furthering of its initial goal – to providing a forum where scientists carrying out work in any field research involving porphyrins, phthalocyanines or related macrocycles can interact to the maximum extent possible. The Journal of Porphyrins and Phthalocyanines has adopted the usual scheme for deposition of crystallographic data, operated by the Cambridge Crystallographic Data Centre (CCDC). To visit the official website, click on the link below.